Here we begin the Church School year, just before the first feast of the new year. 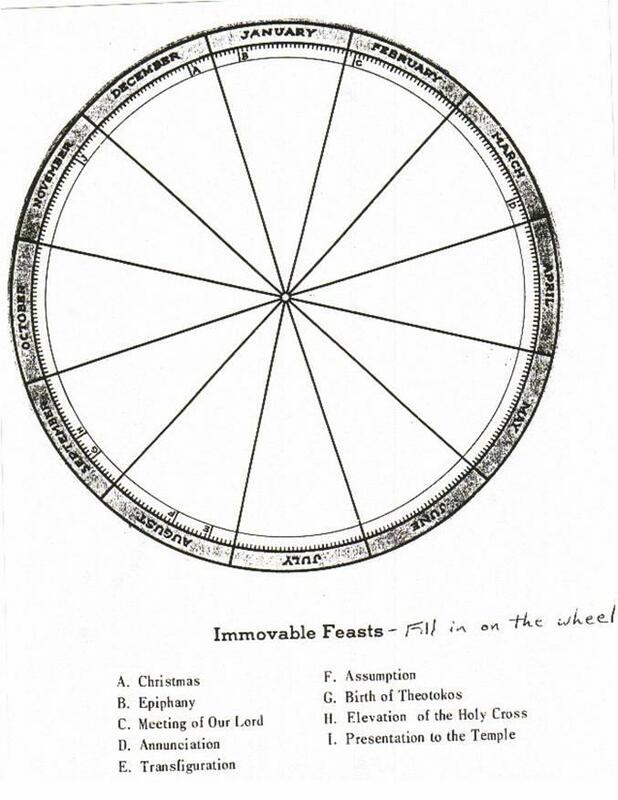 Make your Feast Wheel and hang it in a prominent place to refer to through the year. 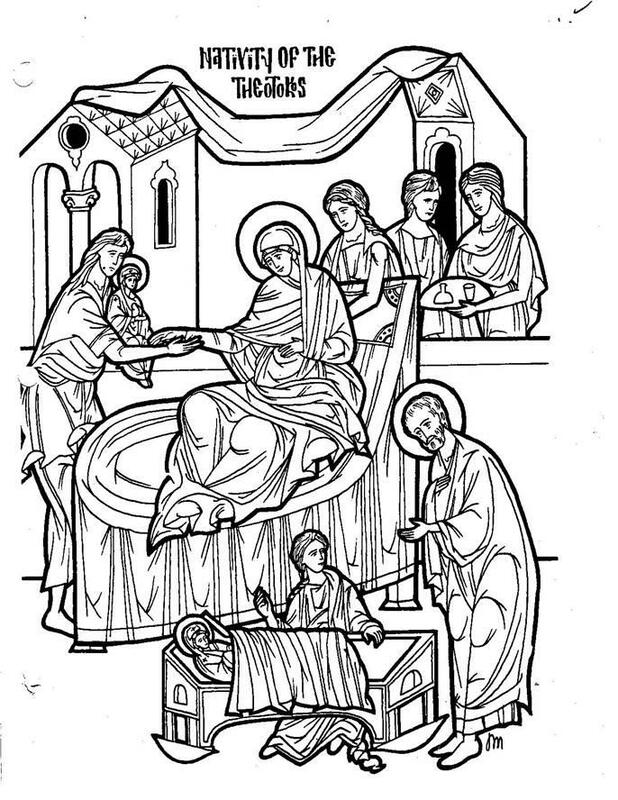 Color the icon of this feast and place it in your icon corner. Reread the stories of Joachim and Anna. Decorate the house with blue, the color of the Theotokos. There are lots of nurses in the icon; visit a hospital and view the nurses. Maybe you can even get a tour. Play nurse: you can lie in bed like Anna and your child can wait on you. Prayer: Lord, bless all babies, born and unborn, as you blessed Joachim and Anna with the baby Mary. Decode the message below to learn an important fact about this feast! Glue to a piece of poster board and cut out. 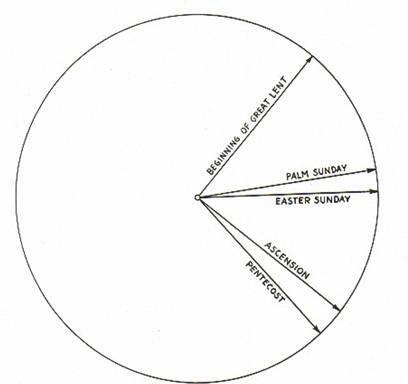 Attach to center of feast wheel with a brad. 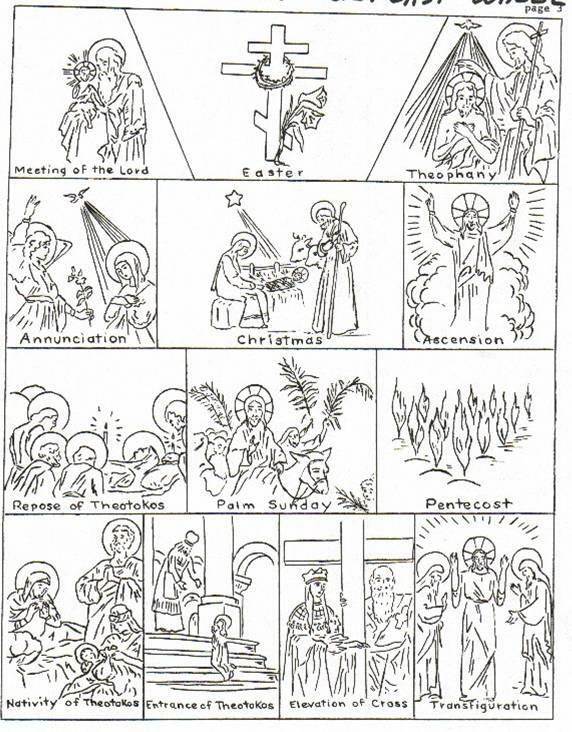 Then color and add the feasts on the next page. You could do this all at once, or ceremonially when we study that feast as the year progresses.